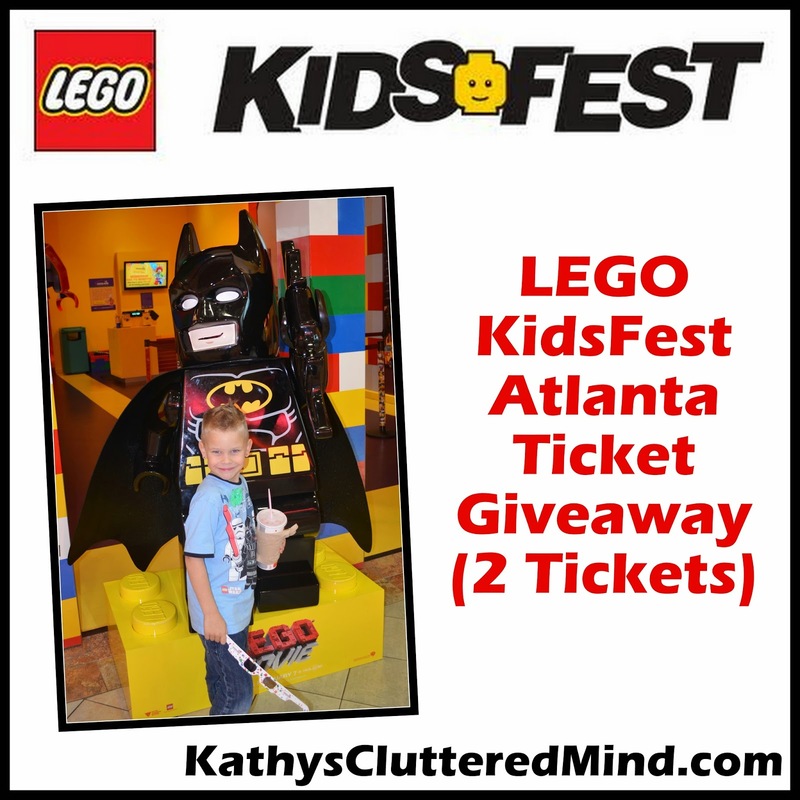 I have two super excited kids right now who are counting down the days until LEGO® KidsFest arrives in Atlanta. KidsFest will be held at Cobb Galleria Centre in Atlanta on June 27-29, 2014. When I showed my son everything that will be going on during KidsFest he literally started running around the room yelling, "yay, yay I'm so excited we are going to LEGO KidsFest!" This event is going to be a great way for our family to celebrate his 7th birthday which will be on June 23rd! There will be a ton of fun activities and something for every member of the family, yes even for us LEGO addicted parents! I totally have the NEW Simpsons minfigs on my personal want list. One of my amazing followers will win (2) tickets to for the opening night session on Friday, June 27, 2014 (4-8:30pm). I encourage you to LIKE and Follow LEGOKidsFest on Facebook, Twitter and/or Pinterest for all the latest updates on this event! Must be 18 to enter, 1 entry per day allowed, random drawing by USFG will take place on Wednesday! ENTER HERE to win 2 tickets!